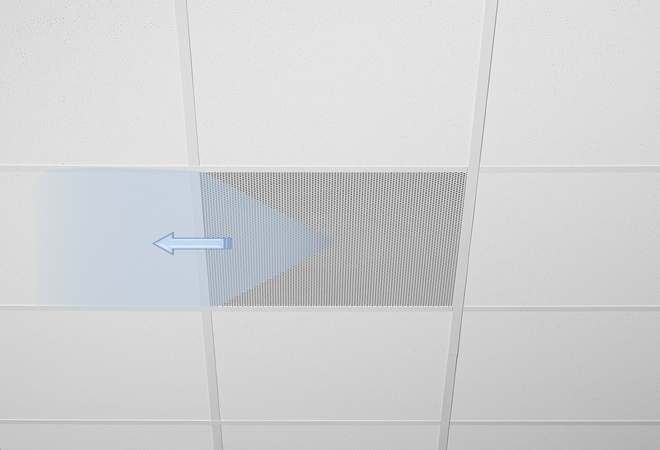 Ceiling diffusers with perforated square diffuser face. 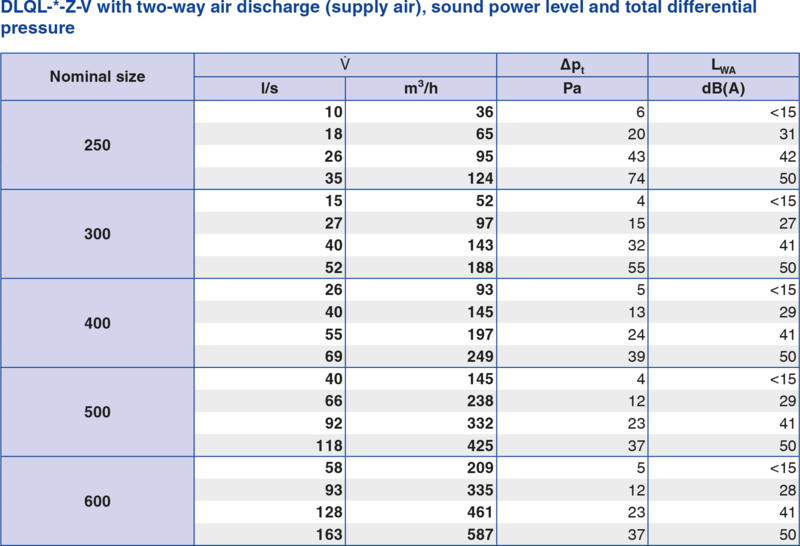 Supply air and extract air variants for comfort zones. 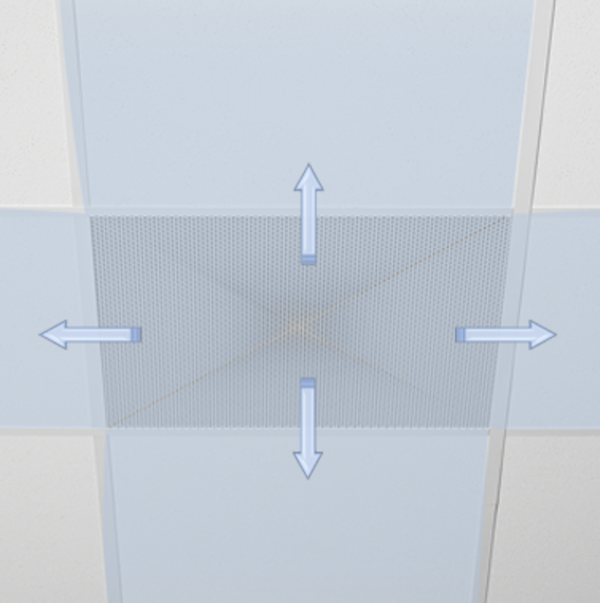 Diffuser face with baffle element for horizontal one-way to four-way supply air discharge. 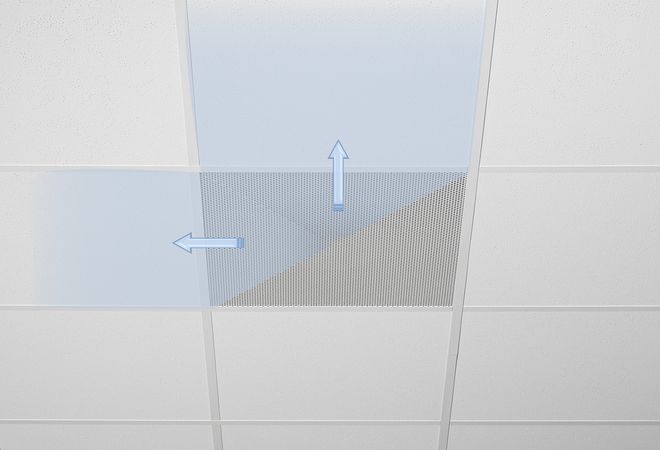 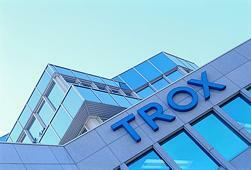 For flush installation into all kinds of suspended grid or continuous plasterboard ceilings. 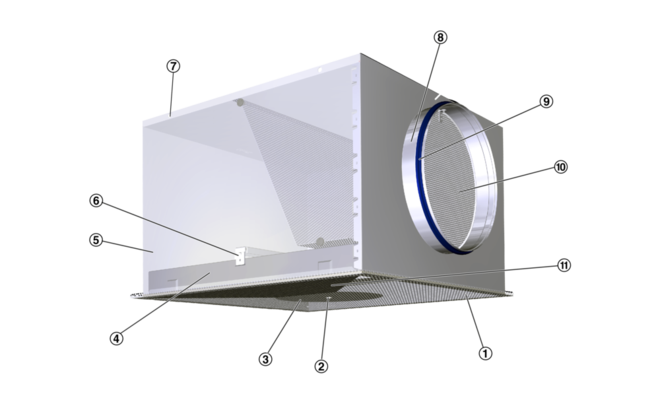 Ready-to-install component which consists of the diffuser face with baffle element (only for supply air), and either a casing with top entry spigot or a plenum box with side entry spigot. 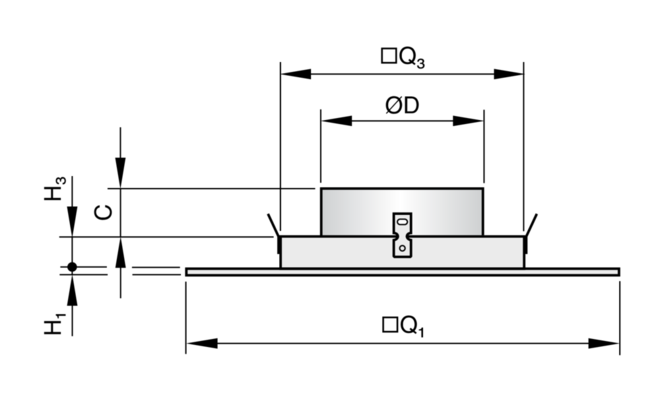 Perforated diffuser face suitable for central screw fixing (variant -P). 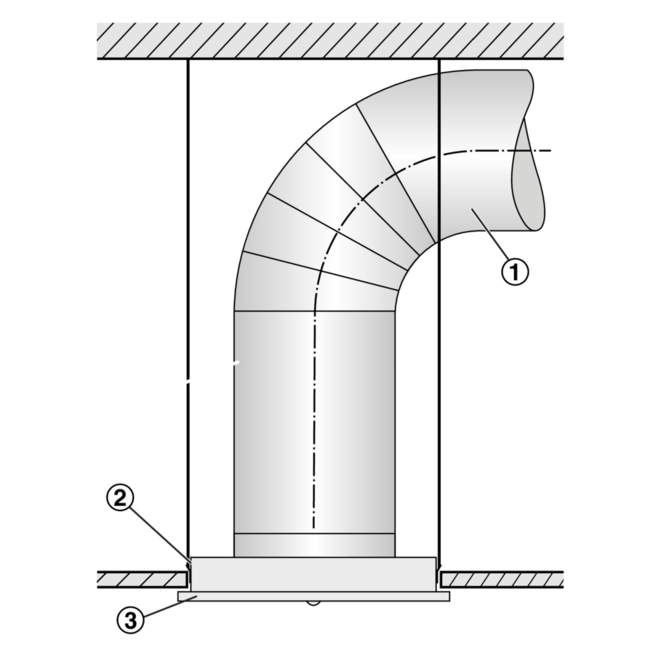 Spigot suitable for ducts to EN 1506 or EN 13180. 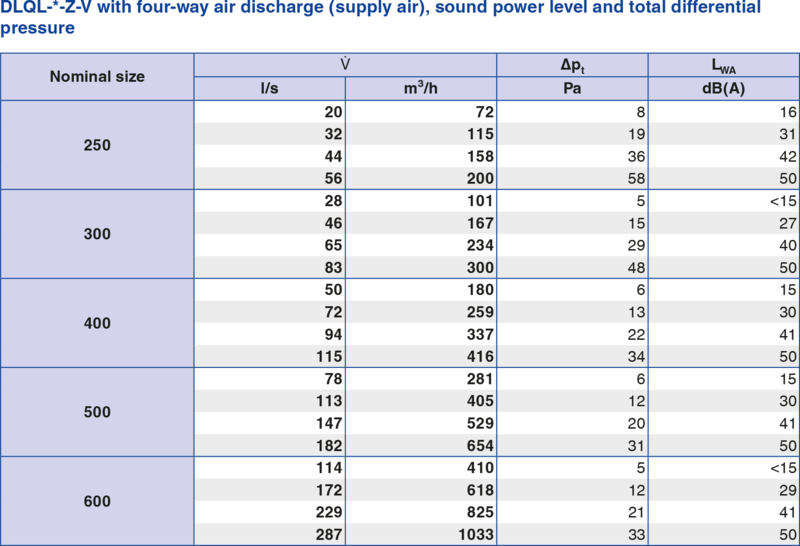 Sound power level of the air-regenerated noise measured according to EN ISO 5135. 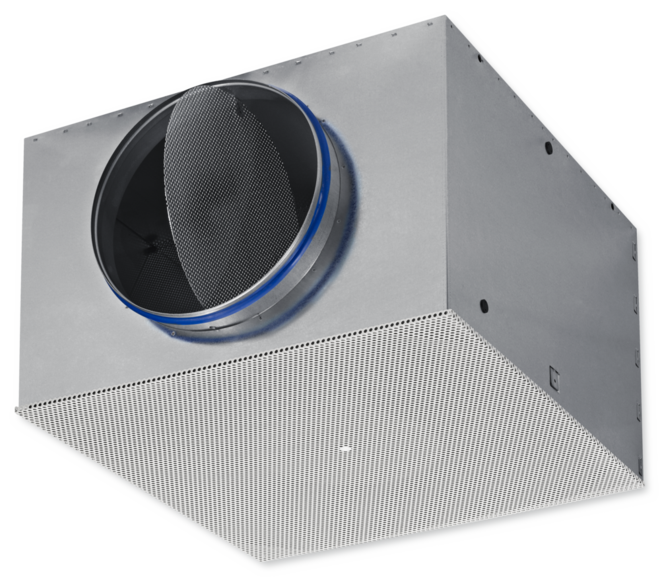 Type DLQL ceiling diffusers are fitted with a special baffle element that creates a horizontal air discharge and high induction levels. 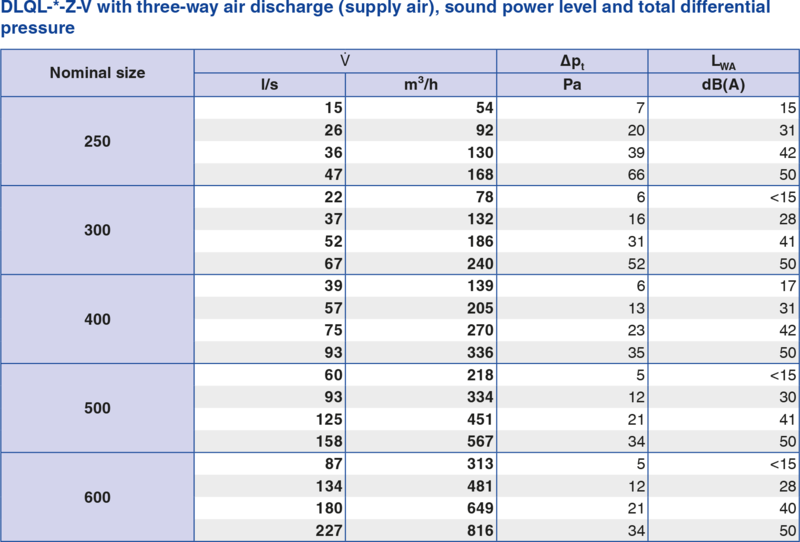 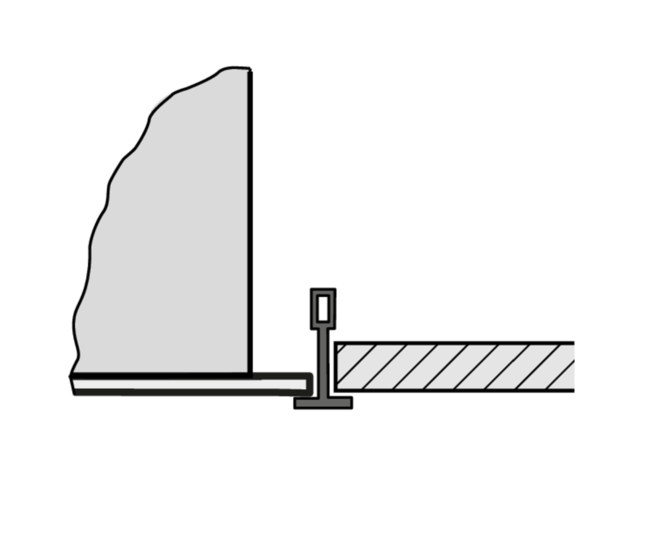 Horizontal air discharge is one-way to four-way. 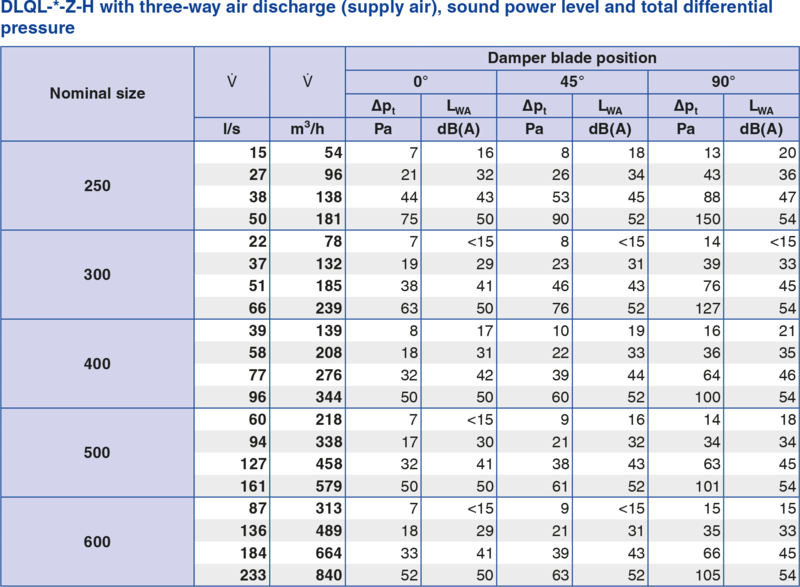 The supply air to room air temperature difference may range from –10 to +10 K.
To give rooms an aesthetic, uniform look, Type DLQL diffusers may also be used for extract air. 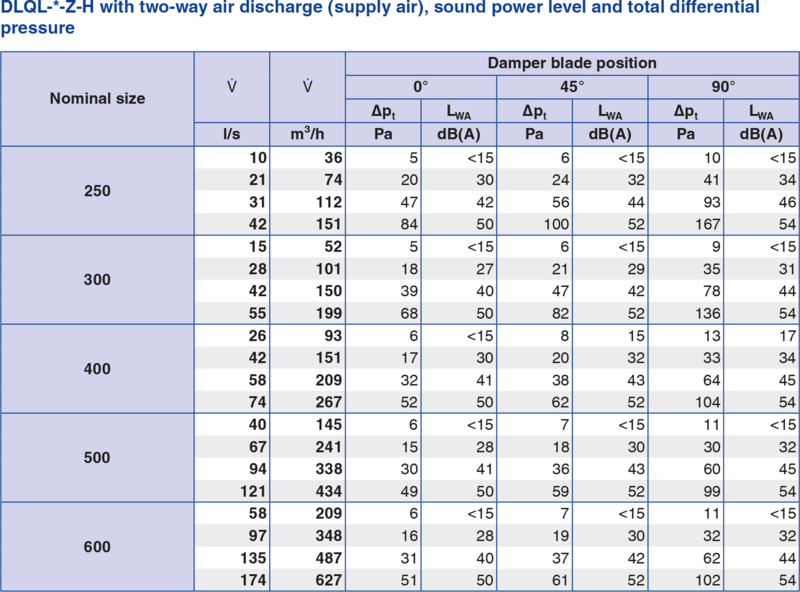 The maximum volume flow rates apply to a sound power level of approx. 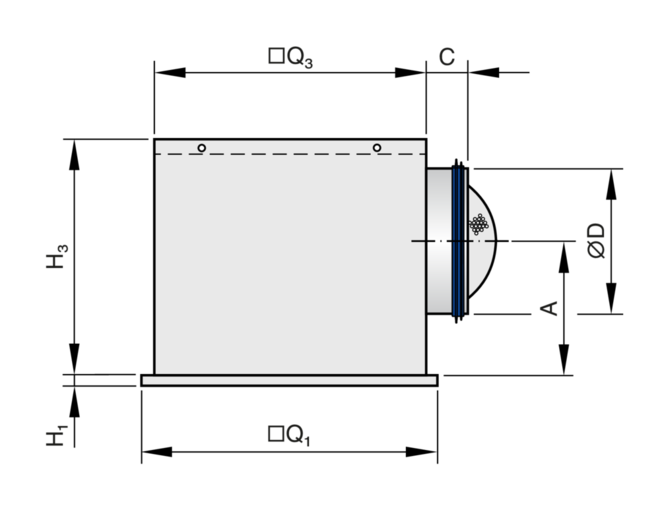 50 dB (A) (DLQL-*-Z-H: with damper blade position 0°). 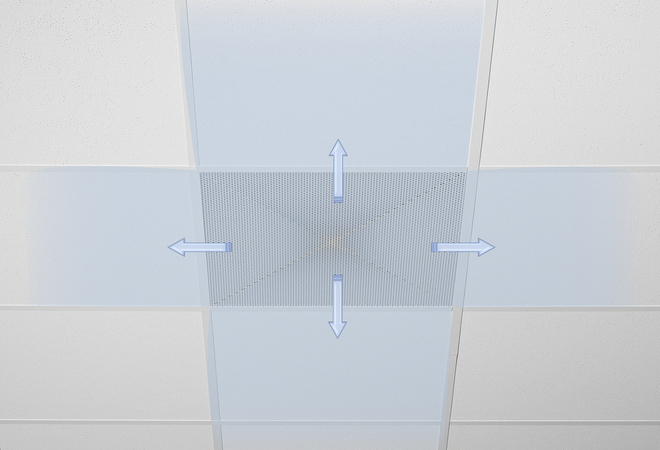 Ceiling diffusers with perforated square diffuser face. 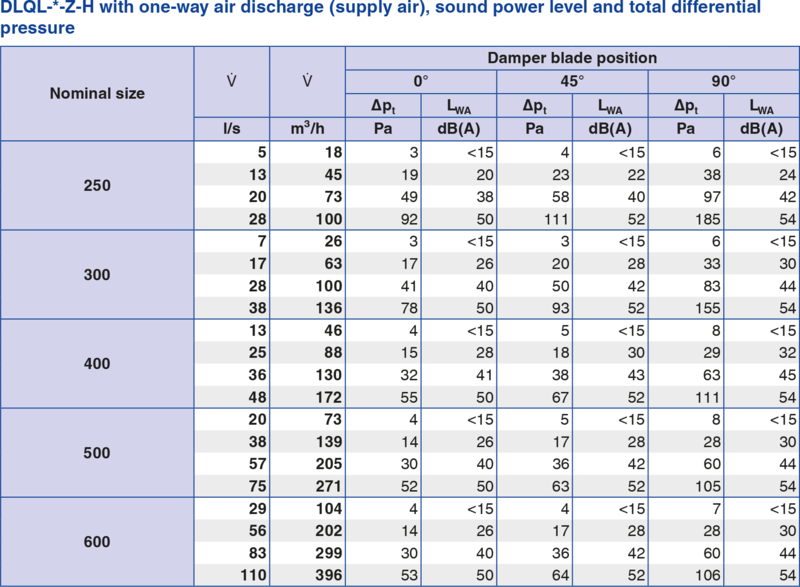 Supply air and extract air variants for comfort zones. 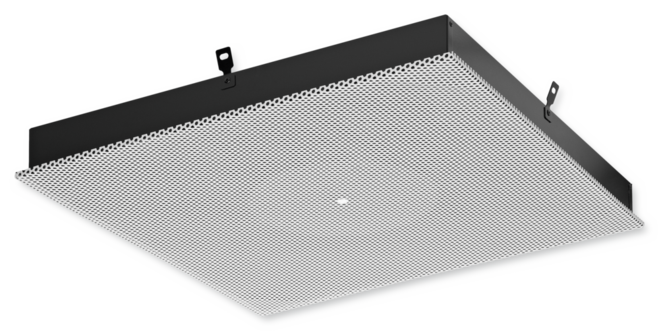 Diffuser face with baffle element for horizontal one-way to four-way supply air discharge. 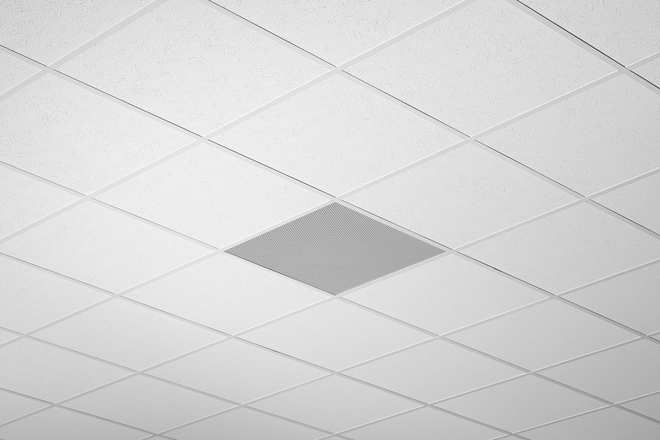 For flush installation into all kinds of suspended grid or continuous plasterboard ceilings. 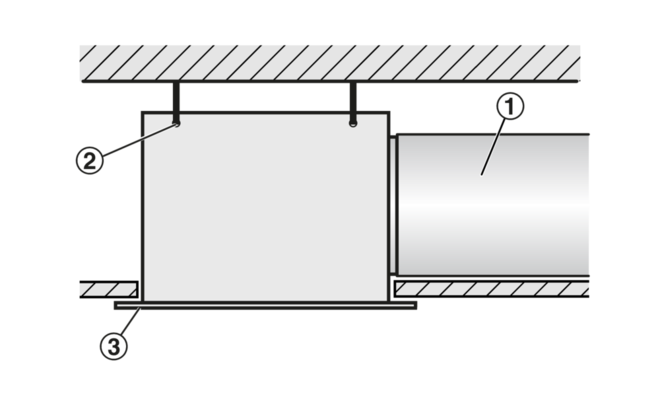 Ready-to-install component which consists of the diffuser face with baffle element (only for supply air), and either a casing with top entry spigot or a plenum box with side entry spigot. 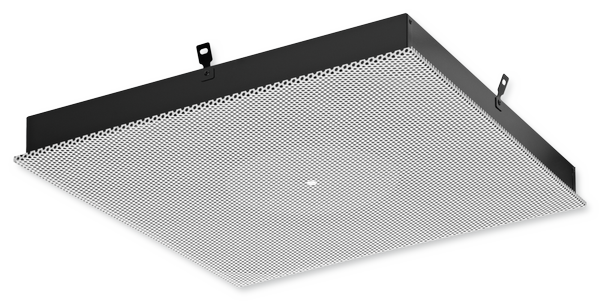 Perforated diffuser face suitable for central screw fixing (variant -P). 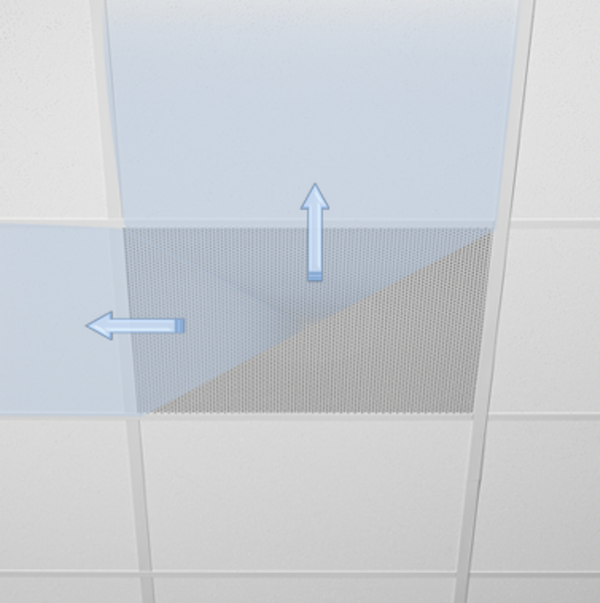 The perforated plate has a free cross-section of approx. 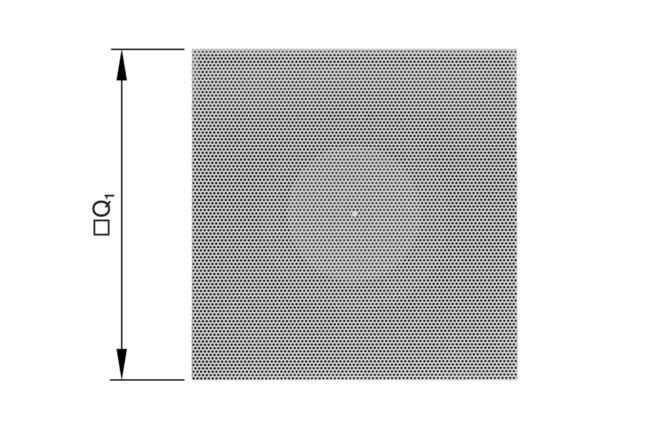 46 % The hole diameter is 5 mm and the rows of holes are offset from each other. 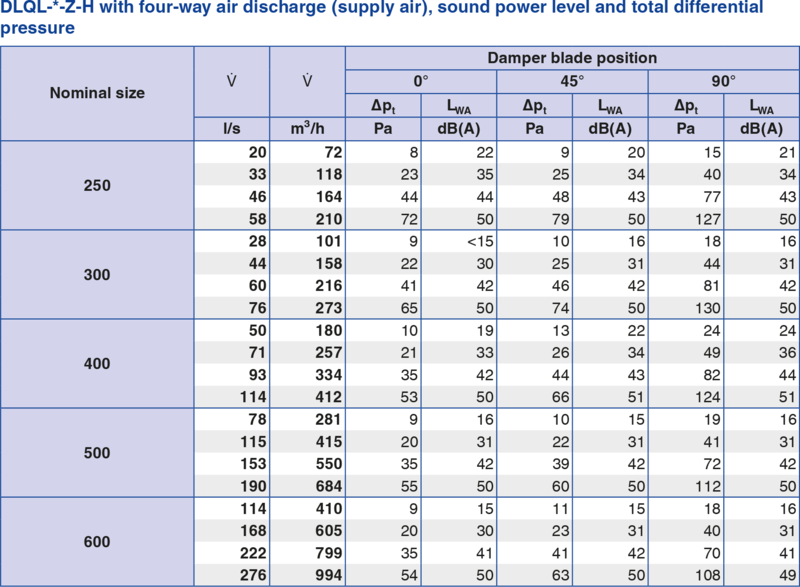 ... Other dimensions, 623 mm max.